A shipping container also referred to as a storage container, can be purchased or rented rather easily. At Dear John Trailer rental, we strive to provide the best service to our customers in Pittsburgh, Erie, Youngstown, Akron, Cleveland, and Wheeling, WV areas. 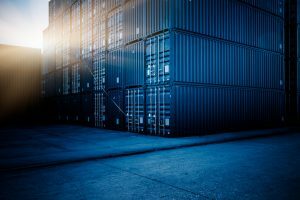 When deciding to move forward in renting or purchasing a shipping container, we want you to first consider a few details. After doing this, your experience will be simple and efficient! When deciding which container company to contact for your shipping container, go local! At Dear John trailer rentals, we serve the greater Western PA area, Wheeling, WV, and the Eastern area of OH. You would not want to order a container from somewhere, say, in California! The cost to ship from such a distance would be astronomical. Doesn’t make much sense, does it? Stick with your local company. WHERE EXACTLY WILL THE CONTAINER BE PLACED? A shipping container will take up a large amount of space so deciding ahead of time where it should be placed is a great help to everyone. Before scheduling your shipping container, keep in mind that the truck bringing the container will have to be able to maneuver in order to place your container in its position. Do you have sufficient room available to accommodate a large truck? Can the container be placed on the road, in front of your property? How much container do you need? If you know the answers to these questions, things will go much smoother. WHERE WILL THE DOORS BE? Where you decide the doors of the container will be opening will also affect the way your container is placed on the truck. The trailer will back up into the position and the container will slide off of the truck into position. The company will place the container on the truck, with the doors facing the position that you prefer. Having the doors face the building for quicker access is the best practice. · How will the payment work? · Who will be at the building to direct the truck, sign the contract, and pay the provider? After all of these considerations, look to your local shipping container company for help. Contact Dear John Trailer Rental today to get started!